READ THESE - TAKE NOTES!!! BIG IDEA - Following World War I, the leading democratic powers faced difficult political and economic challenges both at home and abroad. In 1919, Britain, France, and the United States were major world powers, but they and other nations faced serious problems. Soldiers returning from World War I needed jobs. Nations had war debts to pay and cities to rebuild. Nations had seen the horrors of war. Now they looked for ways to keep peace. (See chart below.) During the 1920's, the League of Nations worked hard to resolve conflicts. In 1925, treaties signed in Locarno, Switzerland, settled German borders. 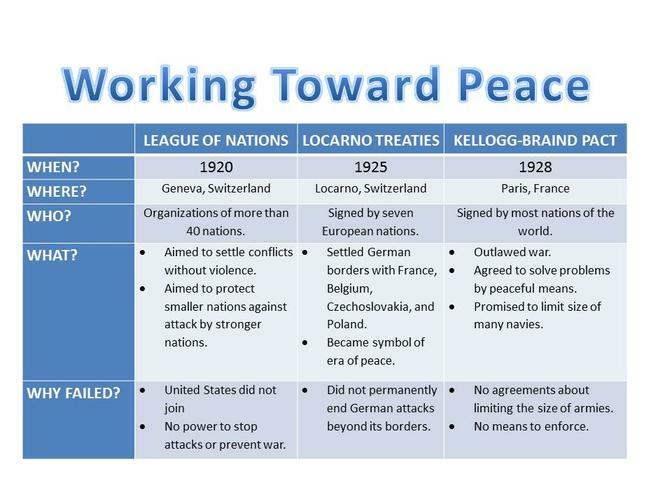 The Kellogg-Briand Pact signed in 1928, tried to limit arms. Sadly, these efforts could not protect the peace. The United States was leading economic power of the 1920's. When things went wrong there, the whole world was affected. In 1929, many Americans lost money in the stock market crash. Banks failed! Business closed! As a result foreign trade almost stopped. The United States demanded the nations repay loans. 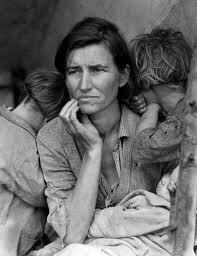 The Great Depression of the 1930's began. BIG IDEA - The Great Depression dramatically changed the lives of most Americans and began to change both their understanding of the economic system and the role of government in American life. The Great Depression, devastated morale, led to extremist political parties, and created the conditions for World War II. The brief period of prosperity that began in Europe in 1924 ended in an economic collapse that came to be known as the Great Depression. A depression is a period of low economic activity and rising unemployment. There were TWO main factors that played a major role in the start of the Great Depression. One important factor was a series of downturns in the economies of individual nations in the second half of the 1920s. By the mid-1920s, for example, prices for farm products, especially wheat, were falling rapidly because of overproduction. The second factor in the coming of the Great Depression was an international financial crisis involving the U.S. stock market. We have seen that much of the European prosperity between 1924 and 1929 was built on U.S. bank loans to Germany. Germany needed the U.S. loans to pay reparations to France and Great Britain. During the 1920s, the U.S. stock market was booming. By 1928, American investors had begun to pull money out of Germany to invest it in the stock market. Then, in October 1929, the U.S. stock market crashed, and the prices of stocks plunged. In a panic, U.S. investors withdrew even more funds from Germany and other European markets. This withdrawal weakened the banks of Germany and other European states. The Credit-Anstalt, Vienna’s most famous bank, collapsed in May 1931. Other banks soon followed, industrial production declined, and unemployment rose. Economic depression was by no means new to Europe. However, the extent of the economic downturn after 1929 truly made this the Great Depression. During 1932, the worst year of the depression, one British worker in every four was unemployed. Six million Germans, or 40 percent of the German labor force, were out of work at the same time. The unemployed and homeless filled the streets. Governments did not know how to deal with the crisis. They tried a traditional solution of cutting costs by lowering wages and raising protective tariffs to exclude foreign goods from home markets. These measures made the economic crisis worse, however, and had serious political effects. One effect of the economic crisis was increased government activity in the economy. This occurred even in countries that, like the United States, had a strong laissez-faire tradition—a belief that the government should not interfere in the economy. Another effect was a renewed interest in Marxist doctrines. Marx’s prediction that capitalism would destroy itself through overproduction seemed to be coming true. Communism thus became more popular, especially among workers and intellectuals. Finally, the Great Depression led masses of people to follow political leaders who offered simple solutions in return for dictatorial power. Everywhere, democracy seemed on the defensive in the 1930s. BIG IDEA - Angered by political and economic problems, many Italians turned to Benito Mussolini and fascism for solutions. Italy was a troubled nation after World War I. The Paris Peace Treaties gave away lands the Italians had expected to control. Many war veterans could not find jobs. Trade was slow. Taxes were high, think about today and how your parents might complain, it was much worse back then. Workers held strikes . Officials argued among themselves, adn the government seemed powerless. People wanted change. Benito Mussolini took advantage of the unrest. In 1919, he gathered war veterans and other unhappy Italians. He called his group the Fascist Party. Mussolini pledged to end unemployment. He promised to gain more lands and make the nation strong. The Fascists, he declared would outlaw rebellion among workers and stamp out all threats of communism. By 1925 the Fascists had used force and terror to gain control. They ended free elections, free speech, and free press. They klled or jailed those who were against them. Desperate Italians accepted violence in exchange for order. They learned to put the goals of the sate above individual rights. Mussolini had promised change, and life did change in Italy. The economy and industry grew under state control. However, wages for workers fell. Men were expected to fight for glory. Women were expected to be mothers. Boys learned to be soldiers, ready to help Italy gain power. BIG IDEA - Under Adolf Hitler, the Nazi government used terror, repression, and one-party rule to establish a totalitarian state. At the end of World War I, the Kaiser stepped down, and Germany was in chaos. Moreover, the new government, called the Wiemar Republic, had troubles. It took the blame for the terms of the Versailles Peace Treaty that left Germany weak. Political parties fought with one another. In 1923, inflation raised prices. When the Great Depression hit, Germans demanded a leader who could provide jobs and build pride. That leader was Adolf Hitler. In 1921, the ex-soldier headed the National Socialist German Workers, or Nazi Party. Hitler said that German were a superior race who should build a new empire. The Nazis won many followers. In 1933, Hitler was appointed chancellor of Germany. Like Mussolini, Hitler was a dictator. He built a one-party state, ended civil rights, and silenced enemies with force. Hitler put businesses under government control and raised the standard of living. Most Germans accepted the loss of freedoms. They did not question Nazi racism. They let Hitler blame troubles on the Jews. No one stopped his military buildup, an act outlawed by the Versailles treaty. Poverty and civil conflicts let fascism take hold in new nations of Eastern Europe. 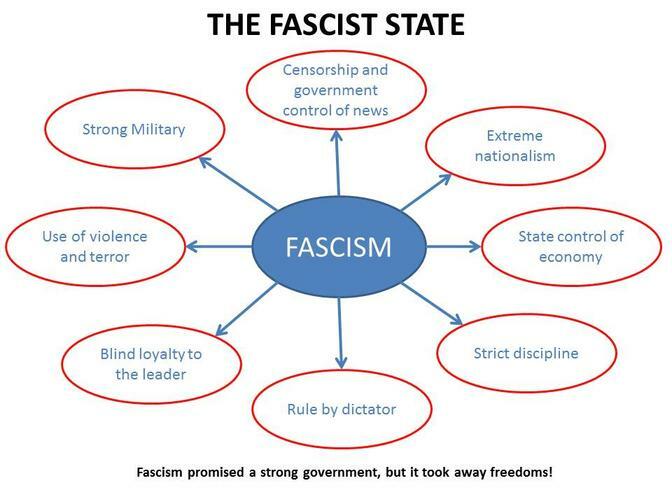 As ethinic and religious groups fought for control, Fascist rulers promised to bring order. They took power in most Eastern European countries. BIG IDEA - Lenin and Stalin were the first leaders of the USSR. In 1922, Lenin and the Communist controlled much of the Old Russian Empire. They called it the Union of Soviet Socialist Republics (USSR). The USSR, or Soviet Union, was made up of many republics, or states. Russia was the largest republic and it controlled the other. Under Communist party control, the economy slowed. Lenin had said he wanted to put all factories and lands in the hands of the people. In truth, the party, not the people, was in charge. Lenin had to give up some of his socialist ideals. His New Economic Policy (NEP) allowed some private profit. It let peasants own plots of land. The NEP improved business and the standard of living. 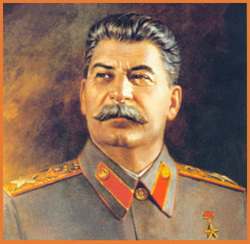 BIG IDEA - Under Stalin, the government used propaganda, censorship, and terror to establish a totalitarian state. Joseph Stalin turned the Soviet Union into a totalitarian state. In the form of government, a one-party dictatorship attempts to regulate every aspect of the lives of its citizens. Stalin used propaganda to make himself a hero. His picture appeared everywhere. Stalin censored, or withheld, news from inside and outside the USSR. The news said only what he wanted people to know. It spoke of the evils of capitalism, never of problems at home. He controlled all art so it showed only the good side of communism. Fear taught Russians to be obedient and loyal. The Communists used secret police to silence all critics. They closed churched and synagogues and tried to replace religion with communism. The totalitarian state changed soviet life. The classless society did not happen. Members of the Communist party made up a new upper class. The communists offered free schooling and health care. New laws gave women training and jobs. Still, the standard of living stayed low for most people. Housing, meat, fresh foods, and clothes were scarce. When Stalin died in 1953, the Soviet Union had become a modern military and industrial power. 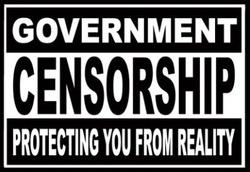 However, it had gained that power through a strict program of censorship, propaganda, and fear. The first 6 sections that you have just read is a short introduction to the content that we will cover over the interwar period. Make sure you have investigated all the charts and graphs because there is a lot of important information in them. When ready, click on the link to the right labeled "Weebly Quiz: Between the Wars" and take the quiz via Google Forms. Afterwards click on the link from the Google Form to see all the results and to self-assess yourself. GEEK HINT: Print these off for your personal use to do well on assessments! This section of notes discusses the search for stability after WWI and the Great Depression. This section of notes discusses the rise of dictators in Italy, Soviet Union, & Spain. 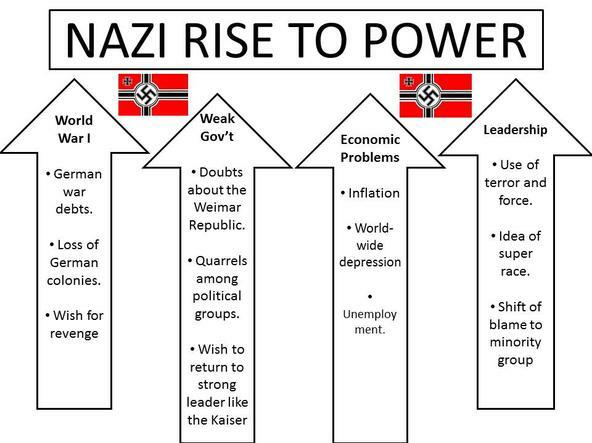 This section of notes discusses Hitler and Nazi Germany.